Our Clinical Research Facility (CRF) at Royal Manchester Children’s Hospital was the first specialist children’s facility in the North West and is one of only a handful across the UK. The Royal Manchester Children’s Hospital is the largest single-site children’s hospital in the UK. This means we have access to all of the hospital’s state-of-the-art equipment and resources, so children can take part in our studies alongside on-going treatment. Our experienced staff are specialists in children’s care, with great experience in both research studies and clinical practice. 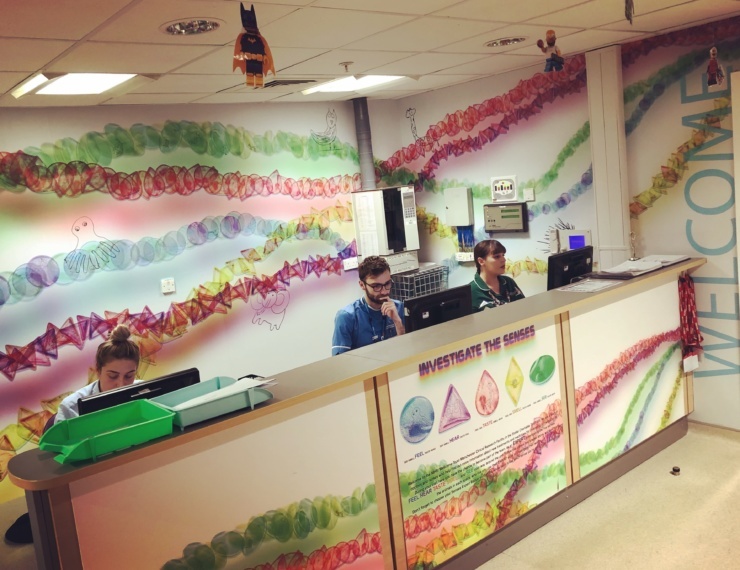 In early 2016, the facility underwent a huge refurbishment, encompassing a theme of ‘senses,’ that has turned it into a colourful and engaging environment for patients and staff. 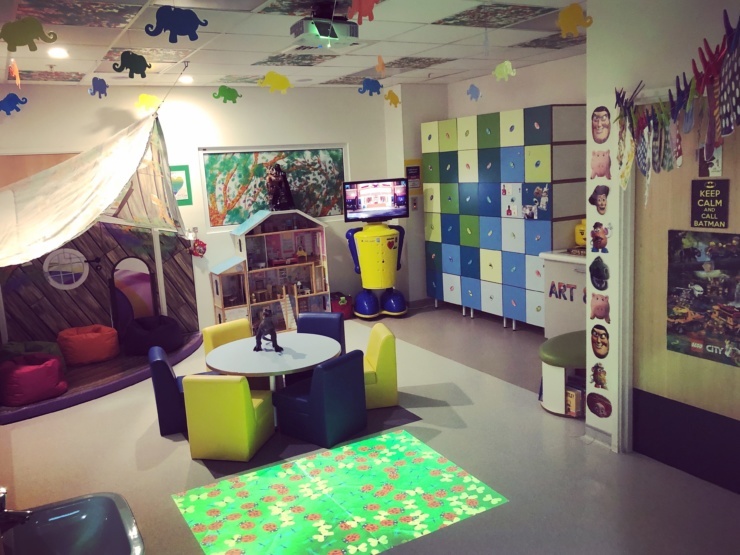 Donations from supporters of Royal Manchester Children’s Hospital Charity enabled the revamp of the facility for children and their families participating in clinical trials, in order to make the ward more comfortable, fun and patient friendly. 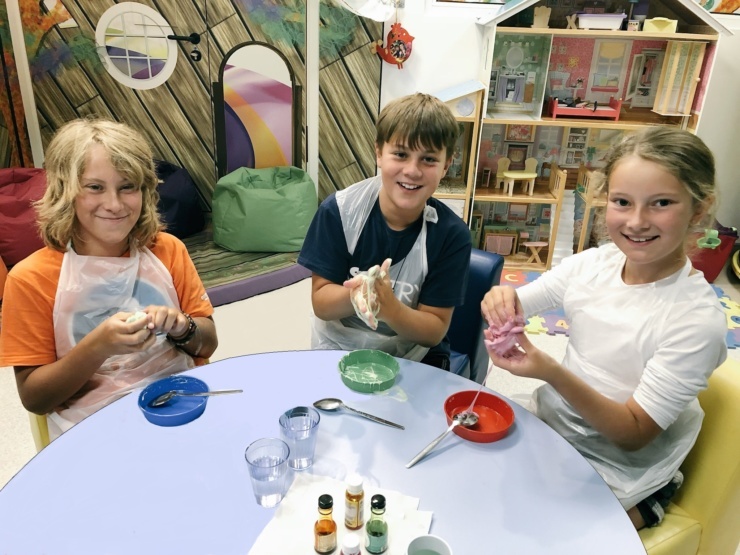 The new artwork is themed around ‘investigating the senses’, with five individually decorated rooms based on five senses; See, Smell, Taste, Hear and Feel. Each room reflects the exploratory and researching characteristics of the facility, based on drawings by children treated on the ward. The treatment room features colourful flower designs, with creatures hidden within the garden scene, designed to help to distract patients when receiving treatment. Patients are also given a sense of control when sitting in treatment chair as they are able to control the ceiling light artwork, 3D clouds and sunlight via iPad built into the chair. The growth of the facility has also enabled more research studies to take place and provide specialist equipment, such as a new audiology research booth which will be used to develop paediatric hearing research. Read more about the exciting launch event of the revamped facility. Useful information when traveling by car or public transport.